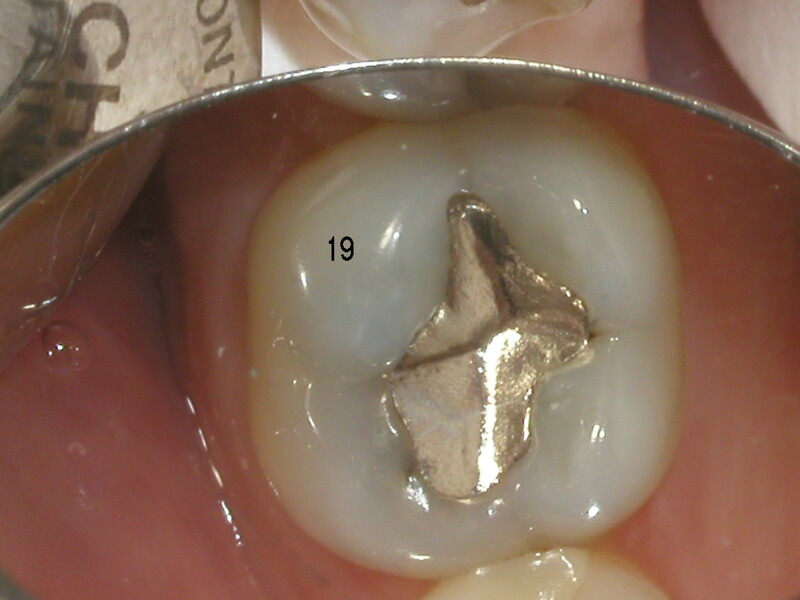 How Old are Your Amalgam Silver Fillings? The American Dental Association recommends against replacing sound amalgams (silver fillings). I agree­. Is the tooth itself sound, though? We can’t tell. Neither a visual exam or x-rays show hidden cracks. 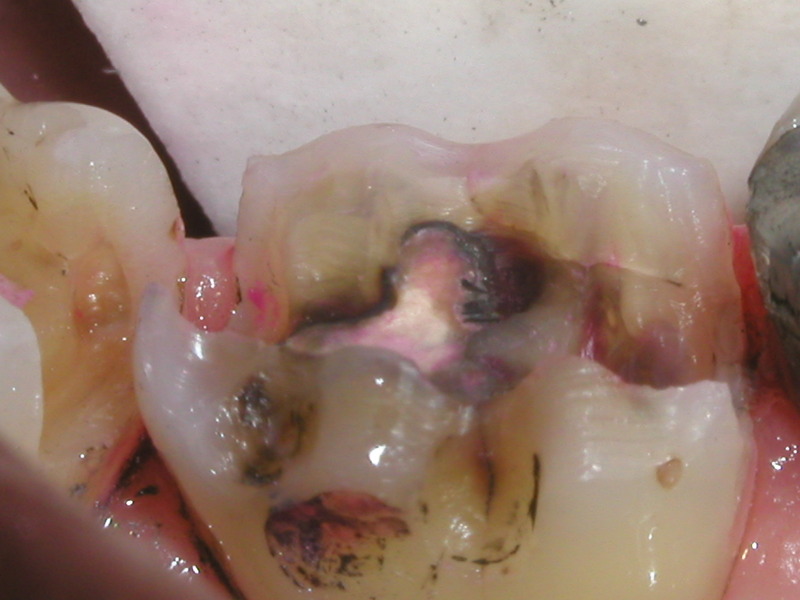 I have been surprised by blackened, leaking and fractured teeth under amalgams so many times in 30 years, it’s not true. I now expect those problems. 1. Age of the filling. Old amalgams leak, wear and discolor teeth. Normal chewing fractures teeth, more from grinding. 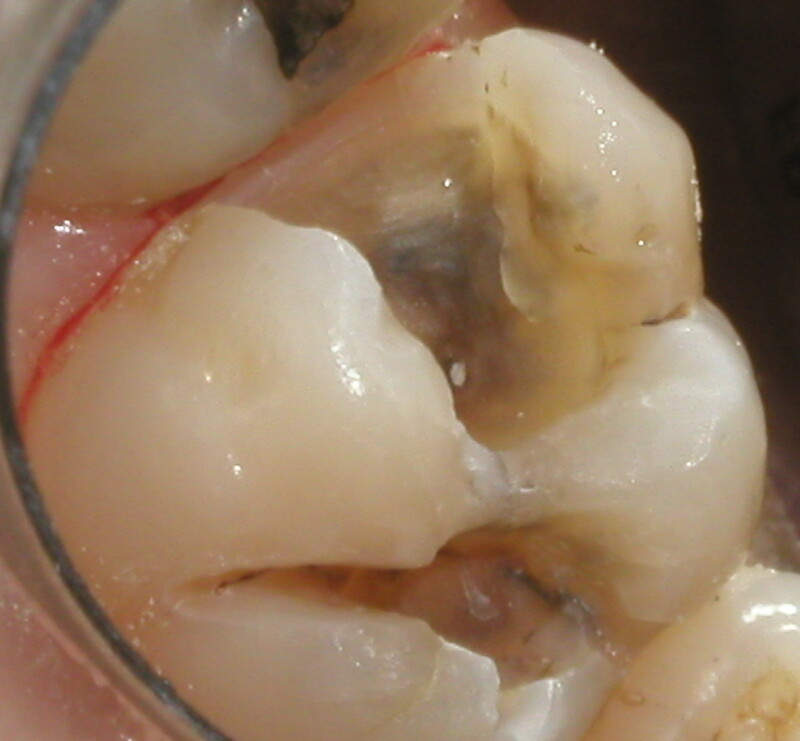 Some amalgams expand after 15-20 years, causing hidden cracks. Amalgams weren’t bonded. 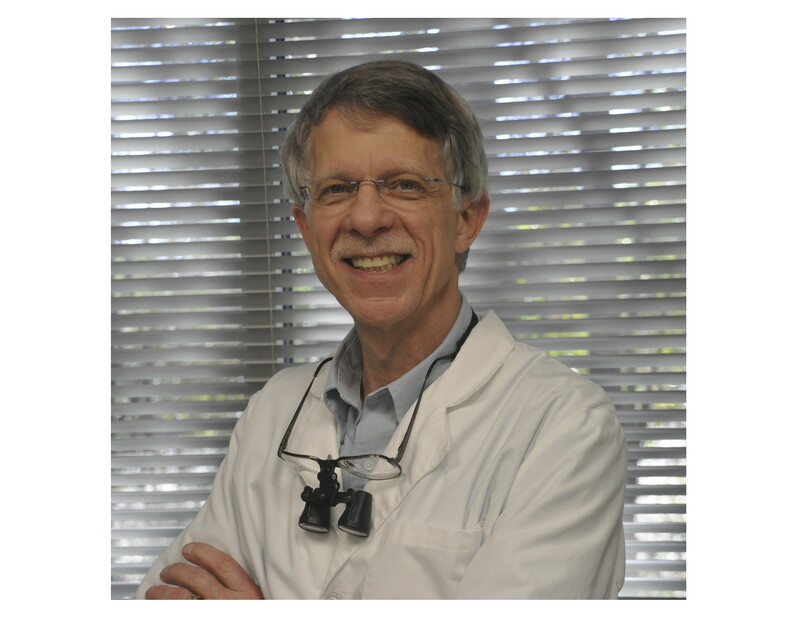 Tooth-colored composite fillings are bonded to both enamel and dentin. This stops leakage. It’s better technology. 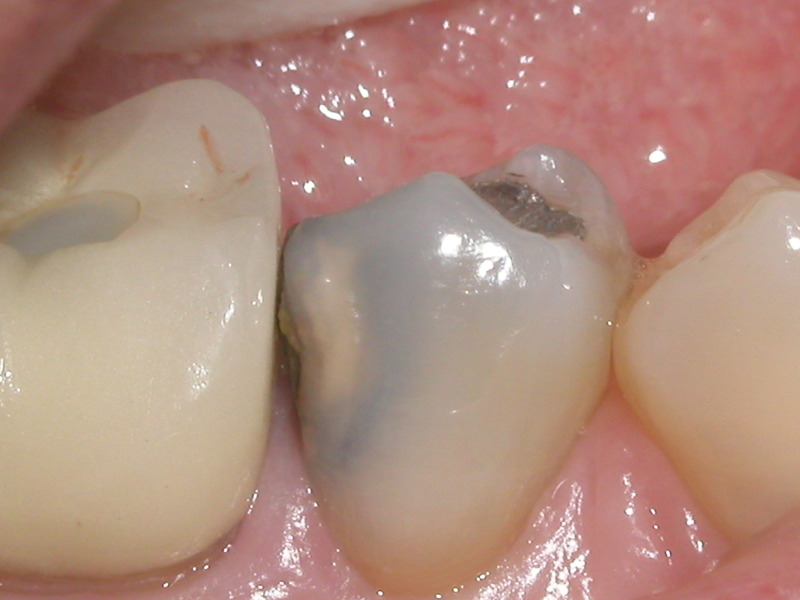 Most amalgam leakage turns the tooth underneath very black. It’s not decay, but it’s usually permanent and can discolor the entire tooth. Any excessively large filling weakens the tooth. Teeth with big fillings break more often than teeth with smaller fillings. Often a crown is required to add strength back. 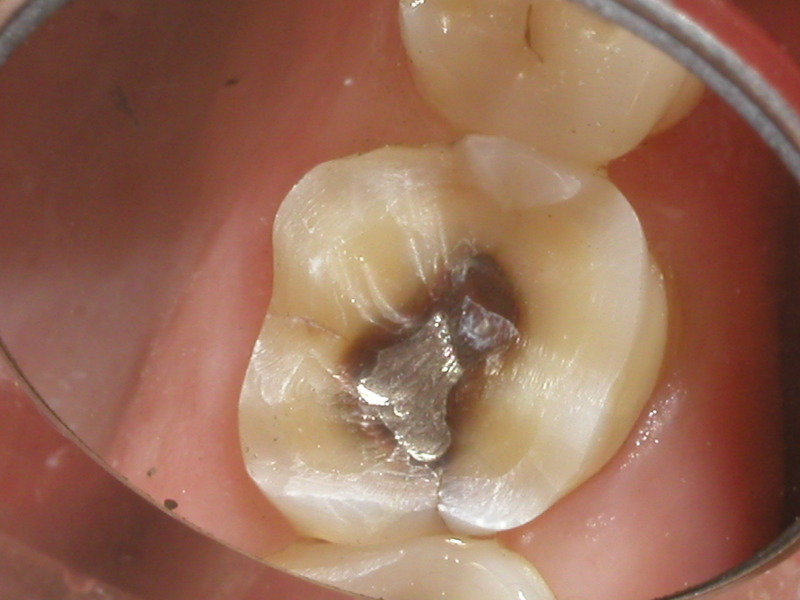 This shows the amalgam removed and cracks under both outer cusps. It is so much better to fix a small problem than wait until part of the tooth is lost completely. 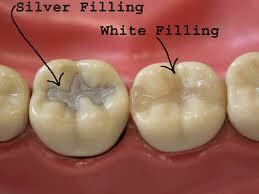 Ask about replacing your old amalgam filllings. Your teeth deserve it! Take care of yourself!